When Liverpool City Council (LCC) proposed the removal of the disused Churchill way flyover at a cost of up to £4million, they might have expected residents to be frustrated at the high cost and the unimpressive outcome. Destruction just doesn’t have the same positive feeling as creation. What they didn’t expect was the city’s residents responding with a far more exciting and affordable alternative to demolition. Something that could be used by the whole community. 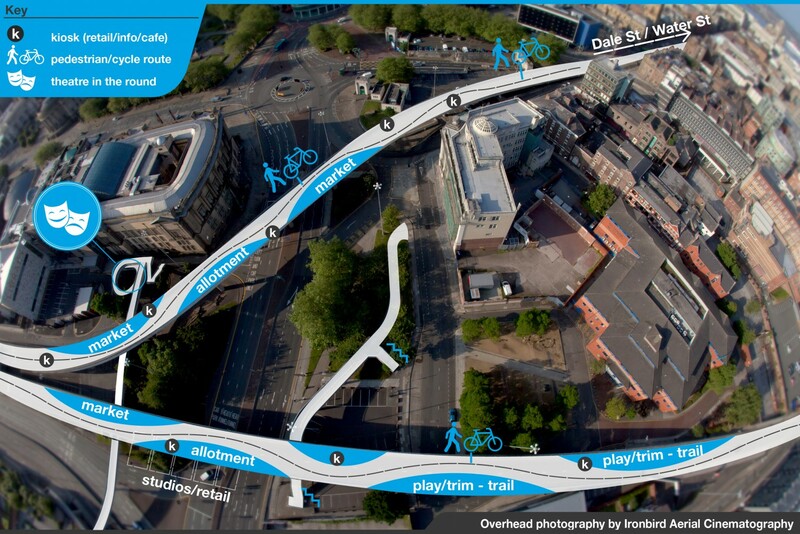 We see it being used for events, markets, by museums, as a cycle path… in ways that don’t exist in this part of the city. 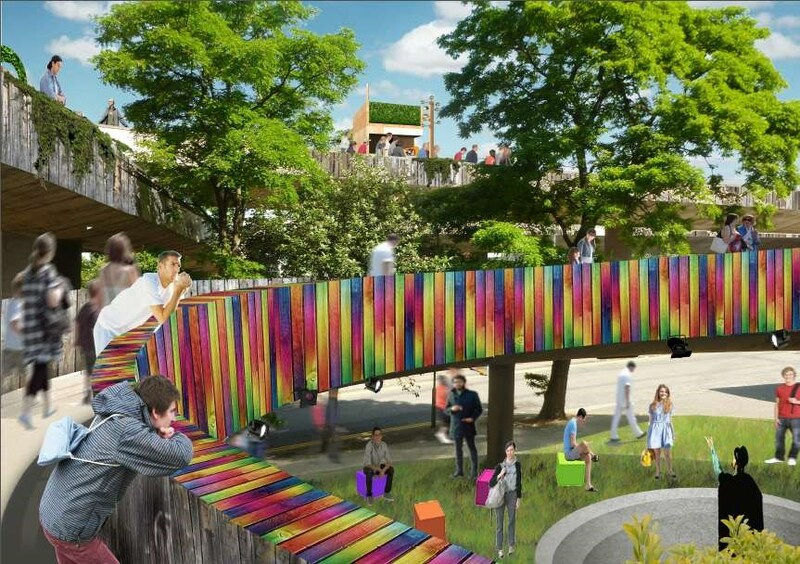 Why not turn the flyover into a park? When Kate, Steve and Mark learnt of the plans to knock down the network of flyovers they knew they had a much better use for both the funds and the space so they came together to form Friends of the Flyover. They used Spacehive to outline how the millions that were to be spent in demolishing these structures could be saved by transforming them into an elevated park instead. 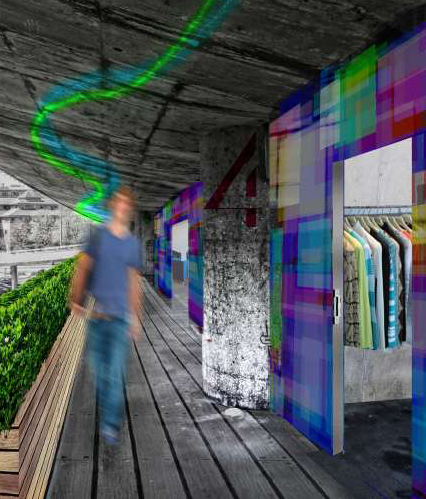 Their vision was a safe, beautiful, useful space where people could traverse, work, grow and sell. …positive feedback in person and across social media. 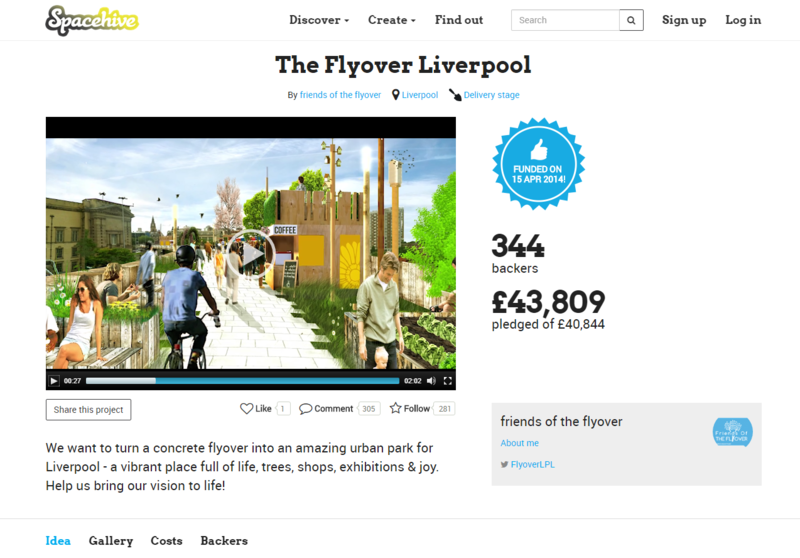 Once their project was made live on Spacehive, they were able to share their vision with friends, family, residents, businesses and then the council. When the LCC was presented with the number of people and organisations backing the project, they recognised the huge benefits of supporting projects in this way. By turning to a crowdfunded project they were able to attract really creative ideas, they could engage the community in the decision making process, harness the power of the group to bring the idea to life and have more impact with their grant-making budget. This was a huge improvement on how the council had previously funded community projects. 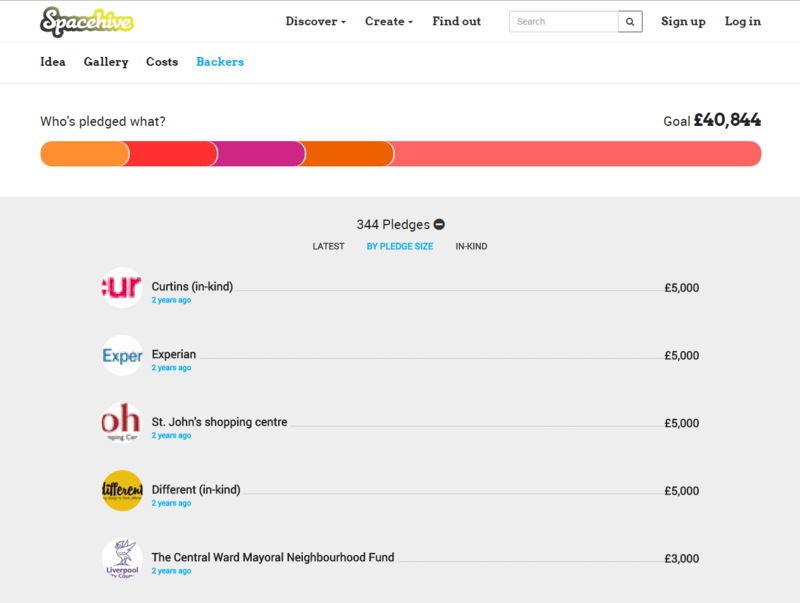 The funding target was met with pledges coming in from individuals like Aine McManus, collectives like the RAAD group, local businesses like St. John’s shopping centre and brands like Experian alongside the support from the Liverpool City Council. 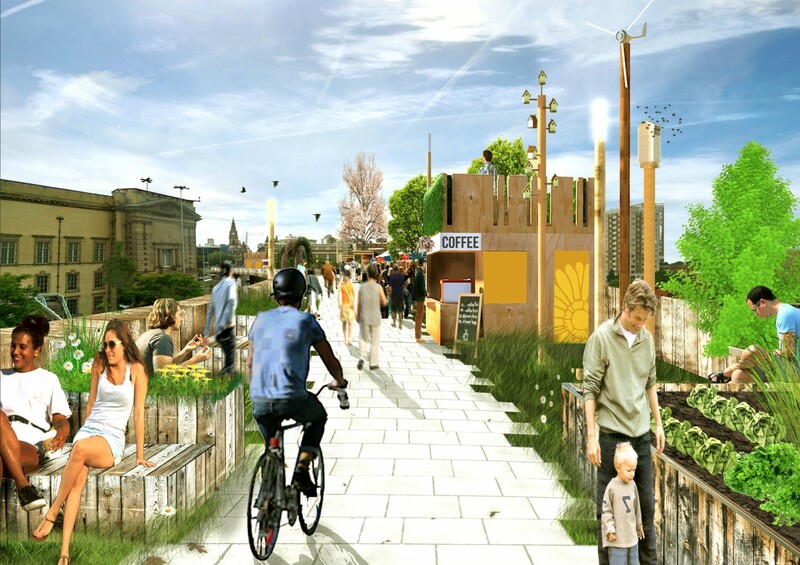 The project raised £43,809 from 344 backers to deliver the first stage of this exciting project which included sustainability studies and pre-planning costs.